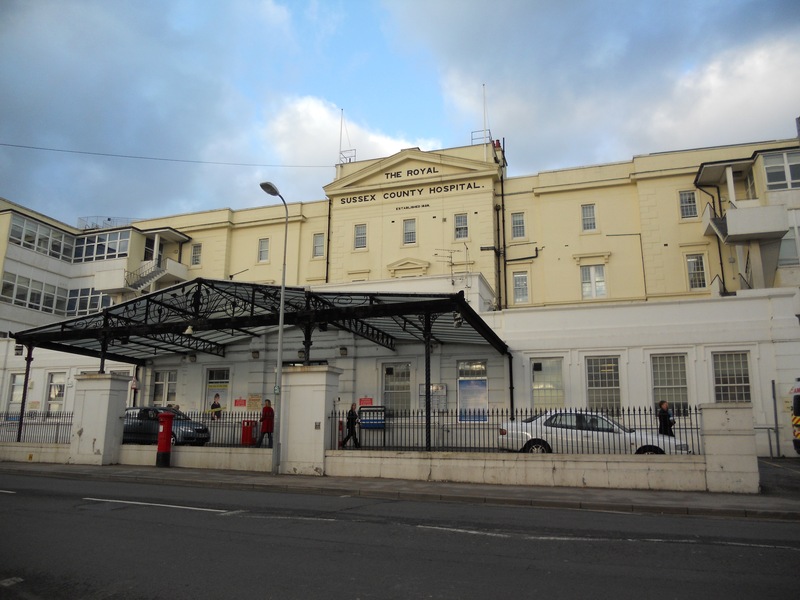 A planning application looms on the horizon for an immense redevelopment of the Royal Sussex County Hospital. 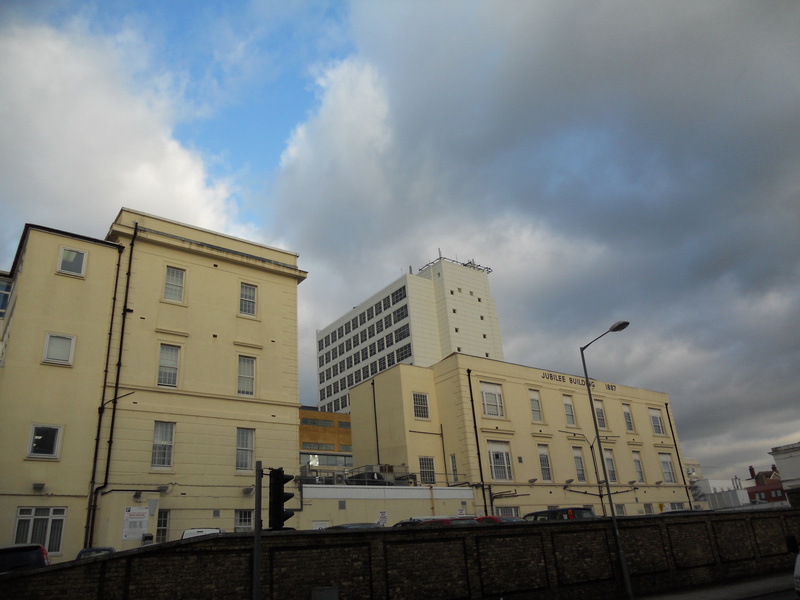 The first hospital building on the site was built from 1826-28 to the designs of Charles Barry, before he became Sir Charles following his work on the Houses of Parliament. His building and its various ugly extensions are today known as the Barry Building. The site includes a number of other structures including the Thomas Kemp Tower of 1969 and the charming new Royal Alexandra Children’s Hospital of 2007. The proposal is to demolish all of the buildings on the south side of the main site, including the Barry Building, and build a single new structure in their place. The idea brings with it a number of opportunities architecturally and there is no doubt that a chance is being presented to do something amazing. I am sad to say that the ongoing ‘consultation’ has so far left me feeling frustrated and helpless. An immense structure is planned for the site which is to be as tall as, and attached to, the Thomas Kemp Tower behind. The proposed building is simply too bulky and its style has no respect for its surroundings. Charles Barry’s work, somewhat tainted by its condition and the quality of its extensions, is to be demolished. I have my own dream scheme for the site that involves extending the Thomas Kemp Tower to accommodate the helipad and building two distinct new buildings across the foot of the site. But my fellow Conservation Advisory Group member, Duncan Cameron, has proposed an interesting alternative with a specific focus on the retention of Charles Barry’s work (essentially, the central portion of the Barry Building). Some say that Barry’s contribution is not important, that it cannot be saved or that it cannot be incorporated into a modern scheme. Duncan’s work, in conjunction with architect Chris Cage, dispels these myths. In 1830, two years after the completion of Barry’s hospital, the Attree Villa was built on the edge of what became Queen’s Park. It was to be the first in a series of grand houses around the park but the scheme was never fully realised. The demolition of the villa in 1972 was an enormously sad moment. Barry’s work on the hospital is almost unrecognisable in its current guise. It is in bad condition and has been insensitively extended. But should it really be demolished?